The AT&T Building, designed by Philip Johnson and John Burgee, is an icon of Postmodern architecture. Completed in 1984, the pink granite 37-story building is famously known for its “Chippendale” split pediment at the top. Additionally, the building was known for the 110-foot central arched entrance with three 60-foot rectangular openings on each side and arcade spaces along West 55th and 56th Streets that created open public plazas. The vertically banded windows add to the monumentality of the building. Designated an individual landmark by LPC on July 31, 2018. The designation applies applies to the exterior only. In 1975, AT&T invited 25 architects to compete for the commission of a new building. 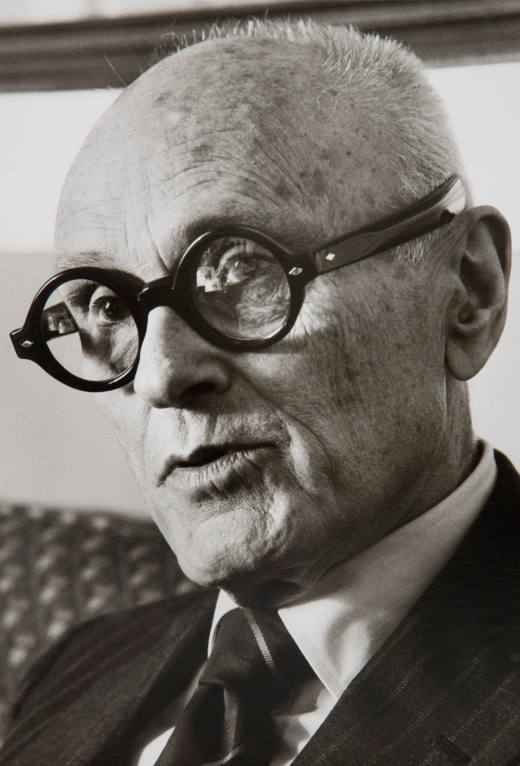 In “Philip Johnson, Life and Work,” by Franz Schulze, he wrote that according to Burgee, he and Johnson did not answer to the competition, but before long were on a short list of three, eventually winning the commission. In 1979, five years before the building was completed, Johnson appeared on the cover of Time Magazine holding a model of the planned skyscraper. The AT&T building would represent a shift in his architectural style, from Modern and less ornamentation to a Postmodern. This was also a turning point in American architecture style and trends. A 1992 proposal by Sony enclosed the arcade, reducing the public spaces from 14,102 to 3,542 square feet and replaced it with 6,050 square feet of private indoor showrooms for Sony products. The space was enclosed with multi-paned windows similar to the entrance. Sony said the public space was “dark, windy and noisy; hence it is underutilized as a place of public comfort and convenience and as an amenity for pedestrian circulation." The oculi openings were also blocked in this design. The passage at the rear of the building was also enclosed in glass. Gwathmey Siegel & Assocaites were the architects with Philip Johnson as a consultant. Construction took place from 1992-1994. Currently the building is empty with the exception of a restaurant on the ground floor. The AT&T Building is a 647-foot, 37-story building located at 550 Madison Ave. between West 55th and 56th Streets. The building is known for the iconic ornamental “Chippendale” split pediment at the top. The 110-foot central arched entrance with three 60-foot rectangular openings on each side and arcade spaces along West 55th and 56th Streets that created an open public plaza. Along with a covered pedestrian space at the rear of the building, this extra public space allowed for the building to be built taller becoming more monumental in the Manhattan skyline. The geometry of the building, the semicircular arches and columns are a reminder of forms used in the Italian Renaissance and breaks from the linear construction seen in modernism. However, the thin columns, which belong to standard steel framing system, exist behind the pink granite cladding that makes this a modern building. The pink granite, which resembles masonry construction at a large scale, was taken from the same quarry that provided the granite for Grand Central Terminal. The tripartite façade is distinguished by the large entrance at the base, a tall shaft of vertically banded windows, and a large wide band of windows below the pediment. When Sony began to occupy the building in 1992, it went through a large renovation that enclosed much of the public arcade space and the passageway at the rear of the building, which were said to be underutilized spaces. Dunlap, David W. "Plan Reduces Public Areas For a Tower." The New York Times. April 30, 1992. Accessed December 01, 2017. http://www.nytimes.com/1992/05/01/nyregion/plan-reduces-public-areas-for-a-tower.html. GmbH, Emporis. "Emporis." , New York City | 115511 | EMPORIS. Accessed December 01, 2017. https://www.emporis.com/buildings/115511/sony-tower-new-york-city-ny-usa. Gottlieb, Martin. "A.T.&T. PLANNING CHANGE IN PACT WITH CITY FOR MUSEUM AT TOWER." The New York Times. May 24, 1984. Accessed December 01, 2017. http://www.nytimes.com/1984/05/25/nyregion/at-t-planning-change-in-pact-with-city-for-museum-at-tower.html. Horsley, Carter B. "The Sony Building." The Midtown Book - The Sony/ATT Building. Accessed December 01, 2017. http://www.thecityreview.com/sonyatt.html. Langdon, David. "AD Classics: AT&T Building / Philip Johnson and John Burgee." ArchDaily. March 20, 2015. 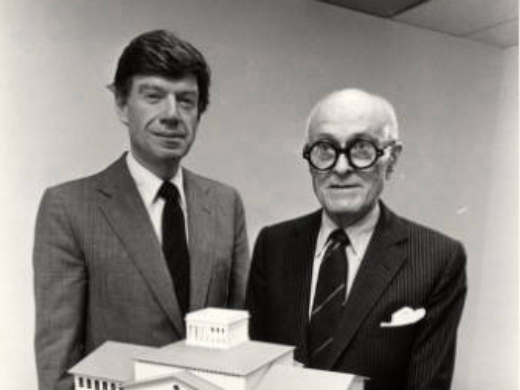 Accessed December 01, 2017. https://www.archdaily.com/611169/ad-classics-at-and-t-building-philip-johnson-and-john-burgee.